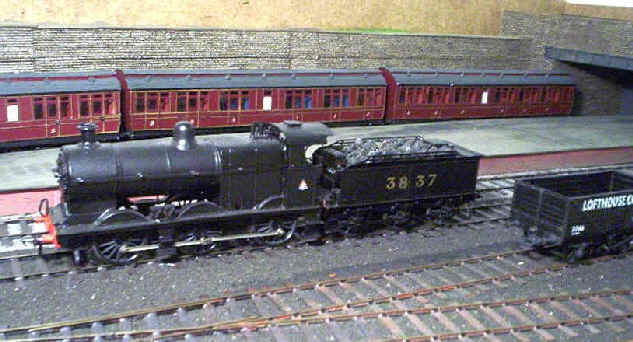 Alan Gibson produced a range of S Scale M.R. 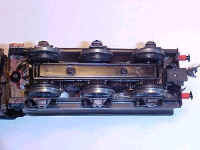 locomotives based on his 4mm kits. 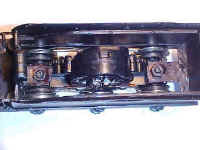 They were supplied complete with all necessary parts and castings. Alan Gibson MR 990. 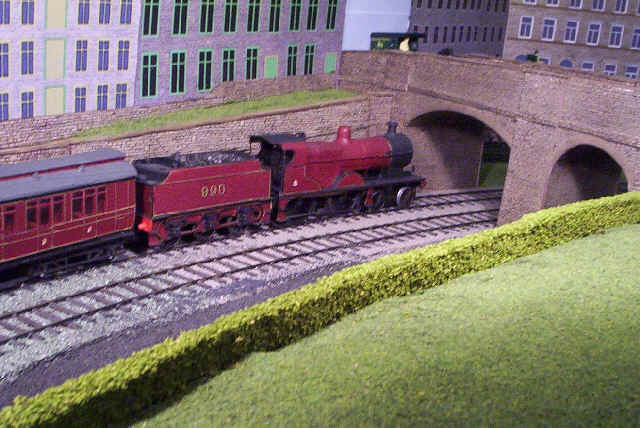 Sharp eyed modellers will notice that the tender wheelbase is slightly shortened - a result of using the Airfix tender drive unit (see below for more details). Whilst spot on for the Johnson tenders it is about a scale foot too short for the longer wheelbase of the Deeley tender. I've decided to accept the compromise. 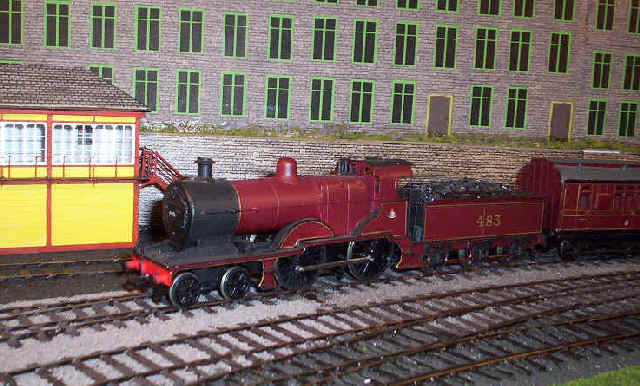 This is another Alan Gibson kit - a round top 1738 class 4-4-0, some of which were still operating north of Leeds in the early 1920s. No. 360 in all its glory stands outside Halifax Midland. Visually I don't find this version of the 4-4-0s attractive but it makes and interesting change from the Belpaire boilered types. 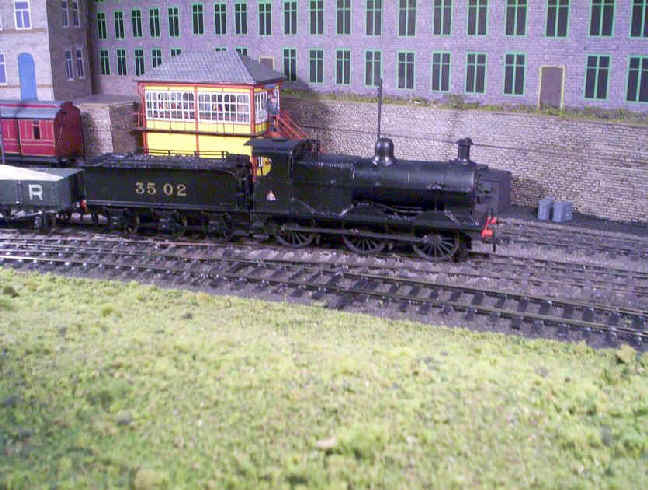 All my tender locomotives are powered by re-gauged Airfix "Royal Scot" tender drive units which have proved very reliable. 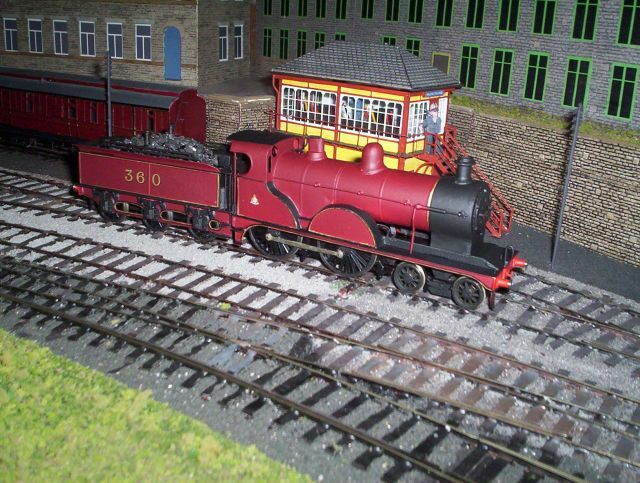 Views of tender with Alan Gibson wheels on extended axles using Airfix Royal Scot tender drive unit. 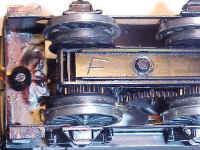 Click here for details of how I built this tender drive unit.